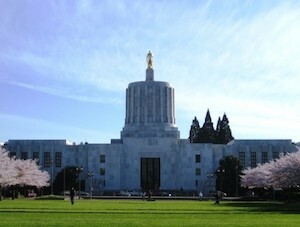 Salem is the capital of Oregon, and serves as the county seat of Marion County. With a population size of over 154,000, it is the 3rd largest population in the state. Downtown Salem is one of the most popular areas in the city. The district features a little of everything with shopping, dining, lodging, year-round events, and outdoor activities to enjoy. Downtown Salem is known for being organized in a way that makes things easily accessible, and walking is encouraged. To start, Salem is home to Willamette University, the first university in the west. The university is located right across the street from the Capitol Building, and prides itself in being amid Salem’s state government, law and business epicenter. There are also three historic properties to visit—the Bush House Museum, Willamette Heritage Center, and the Heritage Center. Downtown specialty stores feature fine art, antiques and apparel; all within a short distance of the Salem Convention Center. 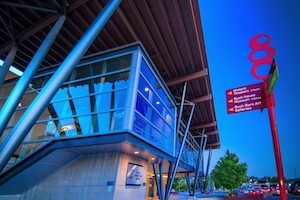 The Salem Convention Center offers 14 different room for those who need a venue to host larger events. If you have been cited or arrested for a DUI (sometimes referred to as a DUII) in Salem, you will need to appear in court for a hearing. Salem cases are typically heard at the Salem Municipal Court, but there are some cases that may be heard elsewhere. Going to the correct courthouse and showing up on time is your responsibility regardless of your chosen representation. To avoid confusion, please check your citation and/or release agreement to confirm which court will handle your case. While DUI charges are taken very seriously in Salem, Oregon, Reynolds Defense Firm has a unique ability to help you. We have over 5 decades of combined experience with members of the court in Salem, and will be happy to assist you in avoiding negative consequences. Does that mean we can get you under the table deals? No, but having established relationships are an important part of the criminal justice system. Reynolds Defense Firm has negotiated several cases where diversion from jail is an option, and our team of DUI lawyers understand how a prosecutor will react in most situations given their experience. To be clear, it is legal to go to court without professional representation, but this is a common and incredibly unfortunate mistake. The court system in Salem is complex, and it is always in your best interest to use the skill set of an experienced and competent DUI attorney because each case is unique. A DUI conviction can also lead to overwhelmingly high penalties such as fines and jail time. There are other consequences, however, that can last far beyond the courtroom. This includes a damaged reputation, barricades to employment opportunities, rejections from financial lending, and destroyed relationships with those who are closest to you. When you show up to court with a DUI attorney from Reynolds Defense Firm, you are showing the members of the court in Salem that you understand the crime is serious, and are taking matters seriously. It also shows the judge, prosecutor and police officers that we are standing next to a person we believe in and deserves a “second look” at their case for evaluation. Hire us, or hire another firm, just make sure your lawyer is experienced, specializes in DUIs, understands how the Salem court system works and can keep consequences to a minimum. If you need help with resolving a DUI arrest or any other related criminal matters in Salem, Oregon, we are here to support and defend you. Please call Reynolds Defense Firm at (503) 223-3422, submit an online form on this website, or chat or text us with our 24/7 live chat service for your free initial consultation. The sooner you call, the more we will be able to strengthen your case prior to your court date. Our team of DUI lawyers do one thing, and do it well—we represent good people facing DUI charges. We will be happy to answer your questions and figure out the best course of action for you and your family.